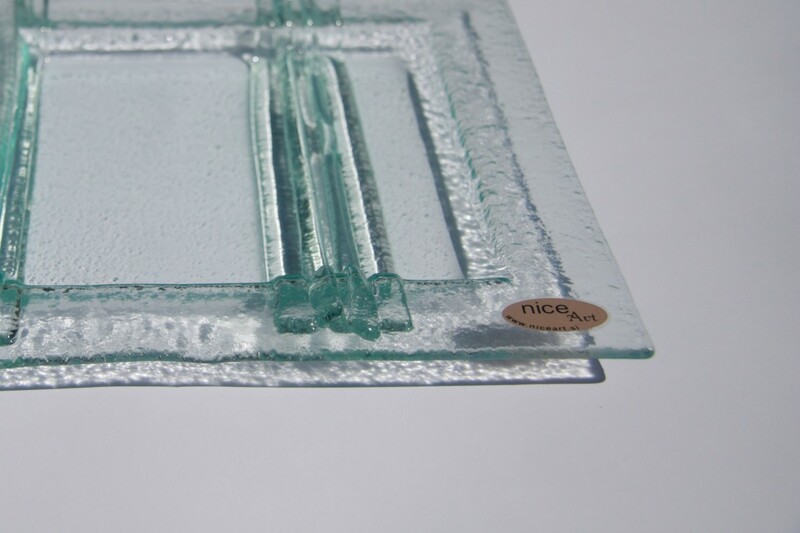 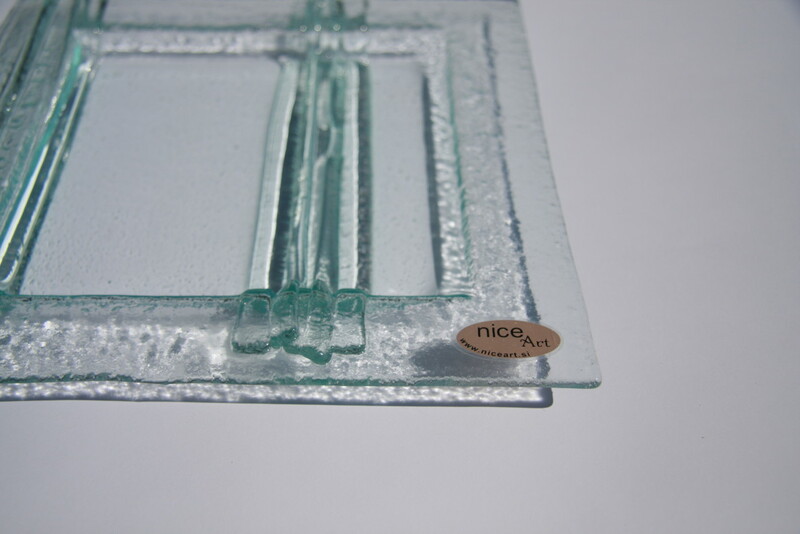 Beautiful plate from transparent glass with many glass pieces… creates a magnificent effect on the table. 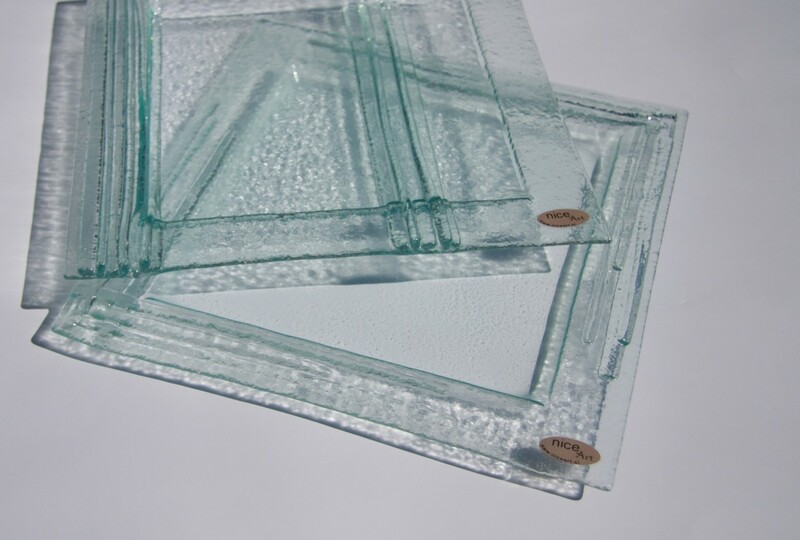 You can have many of them as set- contact me for an offer. 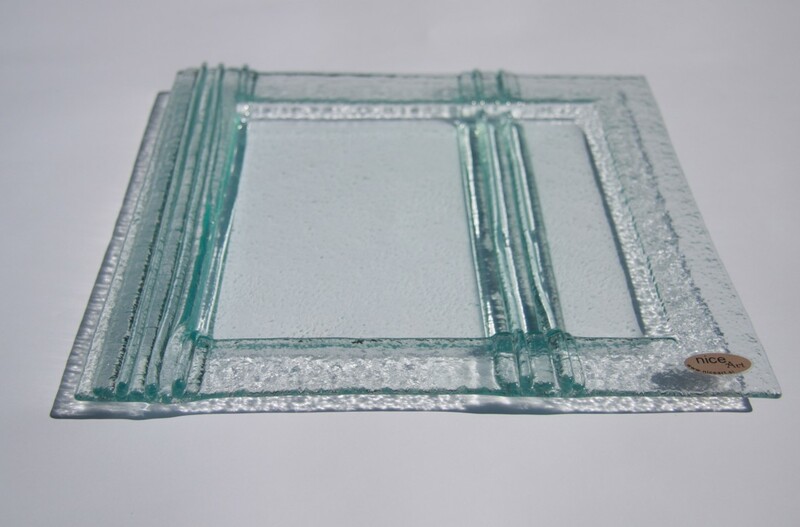 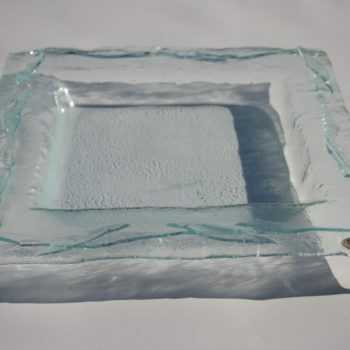 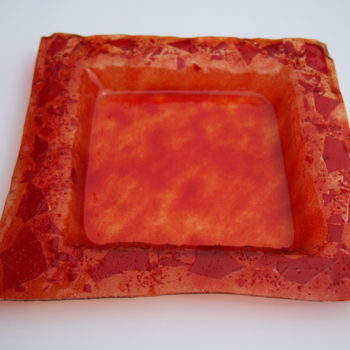 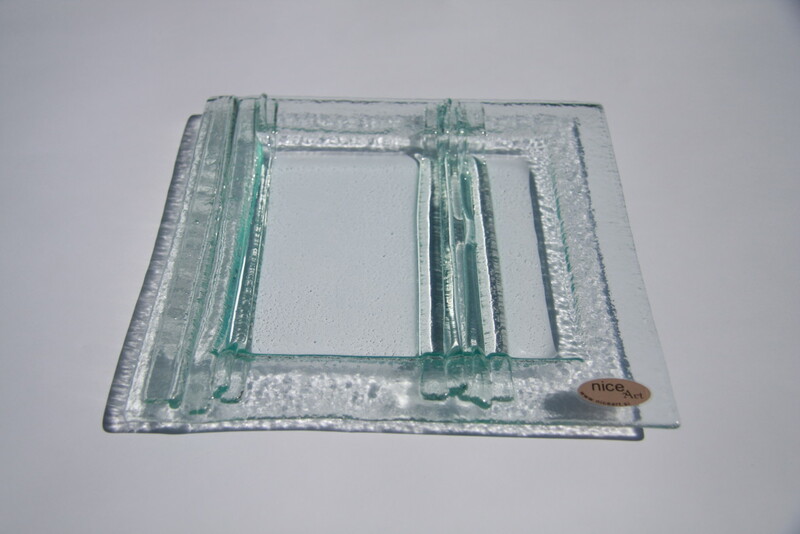 An amaising glass plate can be used as a decorative article or it can be a part of dinning set. 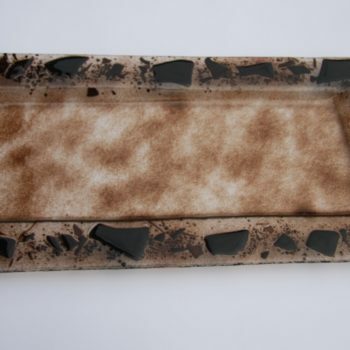 There could be many plates, each of them a bit different but together creating one story… Contact me for an offer of set. 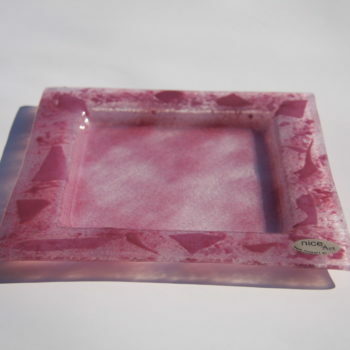 Despite of fragile material, the plate is durable, simple to maintain, you can wash it in a dishwasher.